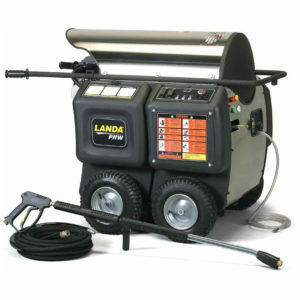 The ENG, with its fuel-efficient burner and vertical hot water coil, is the most compact natural gas hot water pressure washer on the market today. The ENG measures at 49-inches long by 24-inches wide, and stands 48-inches high – an amazingly small footprint for all of the features and quality it possesses. For cleaning applications that require more water flow, larger ENG units are available. 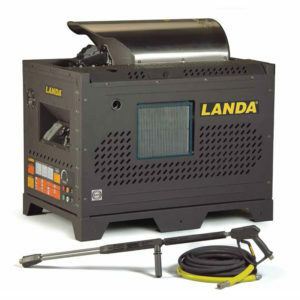 Landa Karcher Group’s Cool-Bypass feature keeps water temperature low while in bypass, extending the life of the pump. 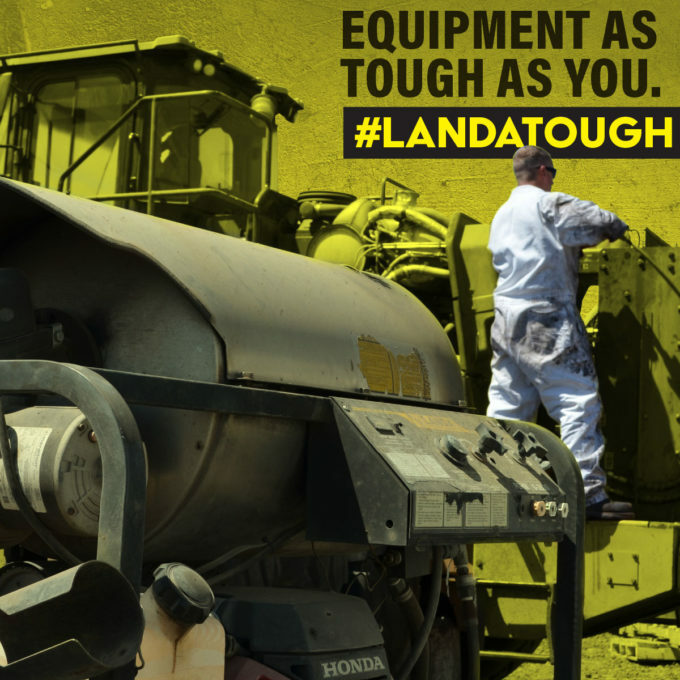 Landa Karcher Group’s Tru-Tite belt tensioning system uses a spring-loaded idler arm to keep the belt aligned and tensioned, and it creates less wear and tear on the belt. The new Fielder’s Choice system allows the user to move the inlet/outlet connections from one side to the other, making installation easier than ever before. 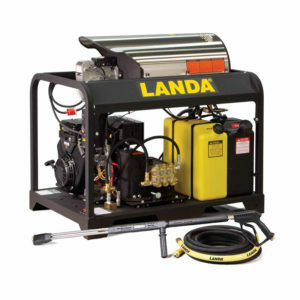 The ENG boasts many of the industrial-grade components and safety features that have set apart Landa Karcher Group pressure washers as the most dependable in the industry. 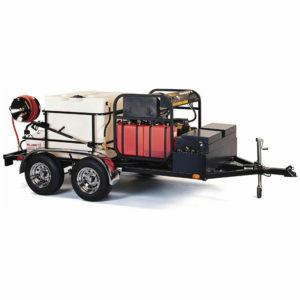 For instance, the ENG burner comes with standard electronic ignition on all models. 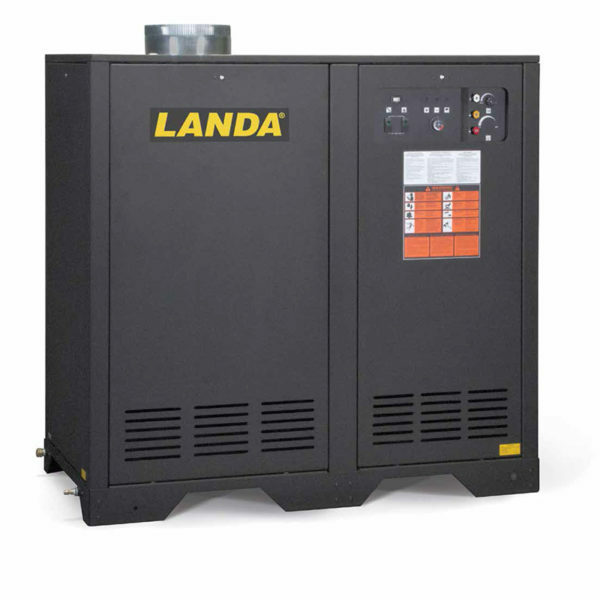 The heat is retained in Landa Karcher Group’s carefully crafted heating coils made of leak-free, cold-rolled, 1/2-inch Schedule 80 steel pipe.